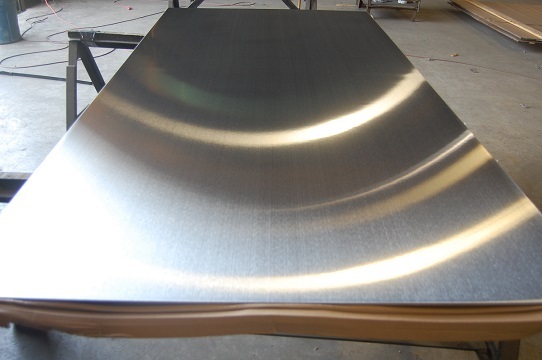 polished stainless plate | Stainless Steel Services, Inc. Location is Not a Barrier to the Best in Polished Finishes – Your Metal or Ours! Here at SSS we have been providing polished stainless plate solutions from our location in Philadelphia since 1976. For almost all of our 40 years we have shipped accurate and guaranteed plate polishing all over North America. If buyers vote with their dollars, we have been “voted for” every day to provide competitive, worry-free finishes to the full spectrum of polished applications. Often, buyers will know we are their preferred choice, only to default to their second polisher choice because of the cost and lag time associated with shipping their metal to us. We solve this “barrier” to being their best choice by providing *Material, *Processing and *Delivering FOB to their location! You see, we want to offer you the best polishing available at the best possible value in any market. To do that, we competitively buy with short leads, mark it up 7.5%, and protect it at our cost. It’s your polishing we want, and if that means doing all of the heavy-lifting to streamline the deal, that’s great! Philadelphia is surrounded by a terrific cluster of top-shelf Service Centers, Mill Locations, and depots with excellent toll processing. There’s enough that can go wrong in fulfilling a polished stainless plate order, why not get your first choice for integrity, accountability and value? Let us craft success for your application!